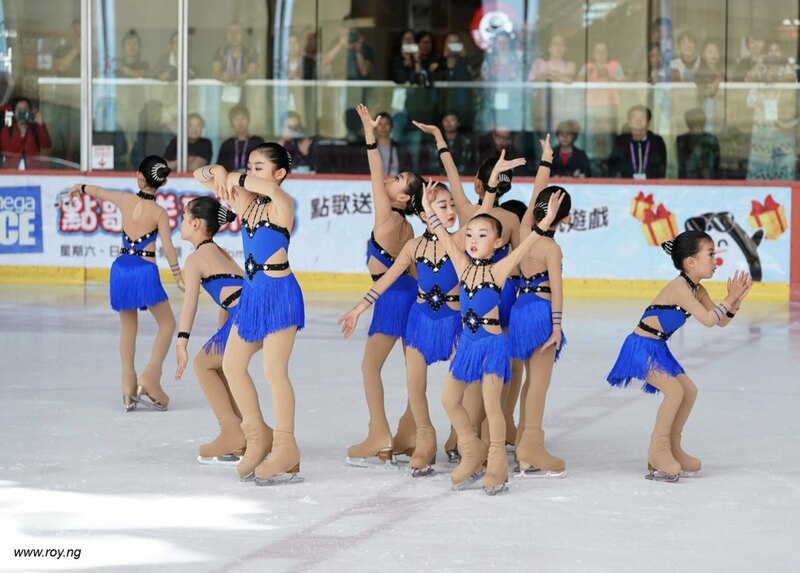 The Asian Junior Figure Skating Challenge 2018/19 Synchronized Skating competition was held on 5 October 2018. This was the first ever synchro competition organized by the Hong Kong Skating Union. A total of five Chinese teams from Beijing, Hong Kong, and Shenzhen participated in the Mixed-age, Novice, and Pre-Novice categories. Gold again for Paradise! The successful Russian took the lead once again in the free skate on Saturday. In Shanghai, Team Paradise did the best score and earned more than two hundred points. Marigold Ice Unity remained the silver medalist and Team Surprise took the bronze. 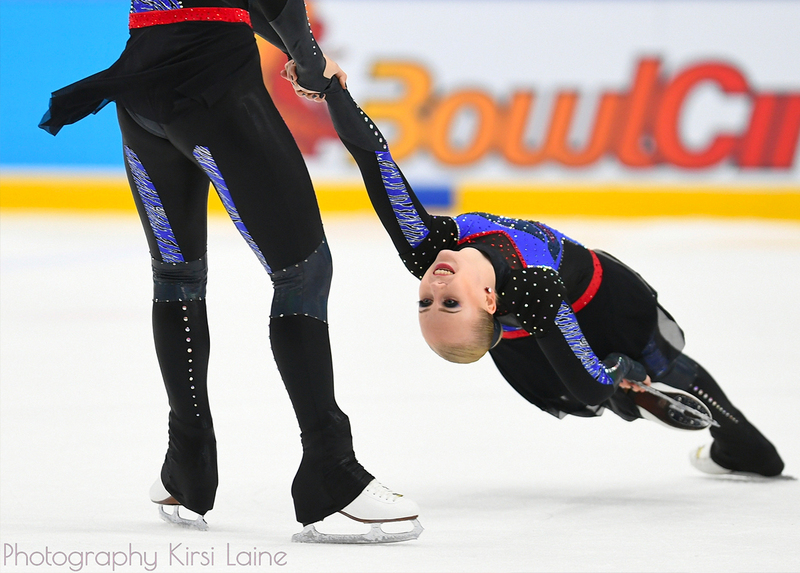 The senior world champion 2017 Team Paradise took the short program's competition in Shanghai Trophy Friday. The Finnish Marigold Ice Unity is provisionaly 2nd, 5.56 points behind. Les Suprêmes, representing Canada, have been rewarded with a 3rd position. Our sport is becoming increasingly popular in China. Since a few years, synchronized skating teams have appeared in recent years. 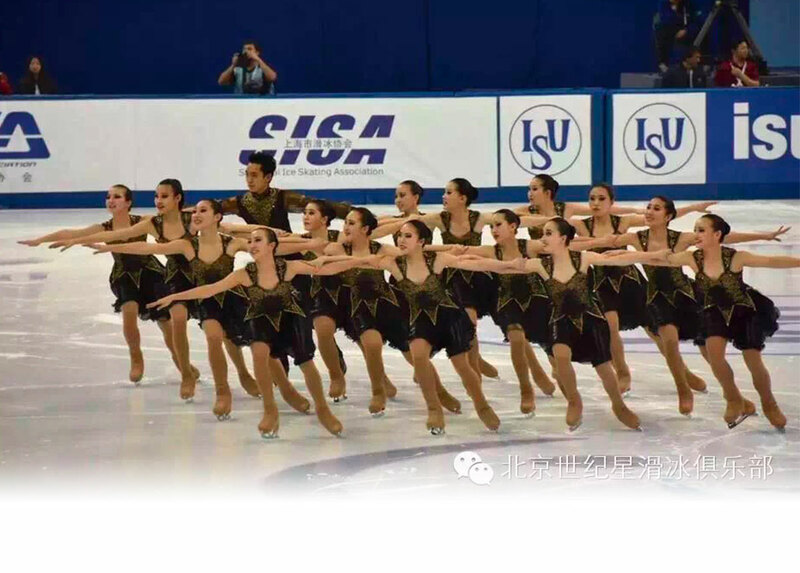 Interview with C-star, the only Chinese team that attends ISU competition. 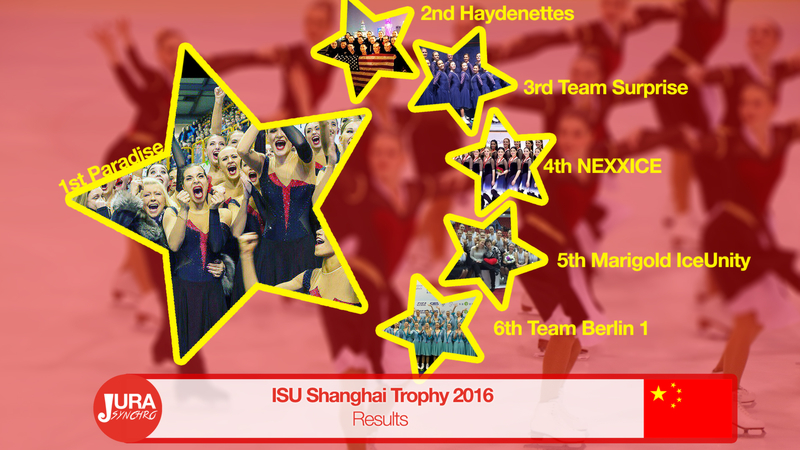 The Shanghai Trophy 2016 took place this weekend in China. The short programs has been organized on Friday, free programs on Saturday and the event finished with exhibition programs on Sunday.